We are in living in an omnichannel world. Nothing is linear anymore. As consumers, we use a number of different paths and signals to get to the products, information and services that we want. Search has become intuitive to everything we do. This was the opening statement of Zeina Belouizdad, Google omnichannel products lead - Europe, Middle East & Africa, when she presented a talk on omnichannel retail at Africa's first Think With Google Retail Summit, which took place in Cape Town two weeks ago. Belouizdad said that over the last 20 years, two innovations, in particular, have fuelled the profound changes we're seeing in retail and business in general. "First there was this startup that wanted to reorganise the world's information, and make it universally accessible. Then, 10 years later came the smartphone. The combination of the internet and the mobile phone has played a big part in our evolution as people. We are purist beings, we like to know, we are demanding, we want to have the best that we can possibly get, and we are impatient. It's about short-term returns and gratification." Not only have consumers changed, but the way we do business has changed. Belouizdad explained that between 1840 and 1997 we were in the monochannel world, and the only place we got services, information and products were from the store. From 1997 to 2006 came the dot-com boom, and the emergence of 'multichannel'. Still, shoppers were fairly limited to simply checking telephone numbers or address details online, to ultimately help them get into the physical store. From 2007 to present day, online and the physical world have merged to into an omnichannel reality, where we use all kinds of signals and channels to get to products and services we want. Belouizdad stated however that businesses haven't advanced as quickly as their consumers. Instead, they're still operating with a multichannel mindset, operating through a number of segregated channels with teams working in silos. "We have budgets set for online, for offline, for call centres. We have strategies for online, offline and call centres. We have teams for online, offline and call centres. So there are these multichannel structures that are breaking what the user is seeing," she said. The user doesn't care if they're purchasing online or offline, they just want to purchase from you. And if they have a bad experience on either channel they'll blame you, not the channel. This year, Google partnered with e-commerce consultancy Practicology on a benchmarking exercise looking at the omnichannel customer experience of 145 retailers across seven European countries. Practicology set up a task force that, using one persona, assessed the quality of omnichannel facilitation on mobile, made service enquiries, created accounts and signed up for newsletters and offers, as well as making physical store visits. 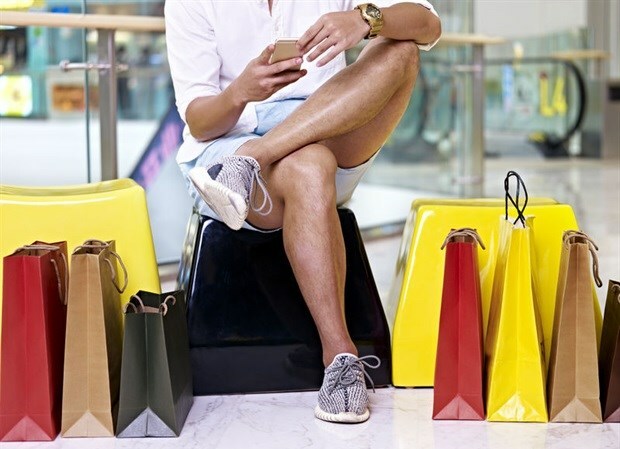 While retailers were measured according to 38 different criteria, eight major omnichannel principles were identified as non-negotiables in order to provide an excellent customer experience. 1. Product info and details to enable cross-channel sales - Is a certain product in stock, if so, which stores? 2. Information available online to help customers find a store easily. 3. Personalised customer experience across all sales and marketing channels - are emails being directed to the customer or the general public? 4. Frictionless movement between channels. 5. Flexibility in terms of how to receive, collect and return purchases. 6. In-store tech that enables a seamless omnichannel experience. 7. Omnichannel customer service - Is your staff member on the phone able to share what stock is available both online and offline? 8. Utilising cross-promotions to encourage omnichannel behaviour - Promote online promotions in-store and vice versa. These principles form the basis of the seamless, optimised experiences that customers should expect from retailers today, and they allow shoppers to have frictionless movement between channels. You can find results of the study here. Belouizdad shared some of the common approaches and behaviours that she finds to be key to the success of the omnichannel retailers she works with across Europe, Middle East and Africa. "I see trends that make some retailers move ahead of others. These are things that should be enforced to be able to see change in your organisation." Make people responsible and accountable for omnichannel change: Retailers need to appoint somebody in charge of omnichannel, who has KPIs targeted at omnichannel, who speaks to C-level executives (or is one themself) to drive the change. Find a team or a person who's senior enough to lead this change and hold them accountable. Without that, omnichannel will always be a side project, until it's a detrimental case. Some companies she's worked with have tackled omnichannel and broken down silos by merging teams across channels and specialties (marketing, customer service, etc), but have them focusing on a certain customer segment. Track business goals, not channel goals: "Measure, measure, measure and then act," said Belouizdad. Track your overall business goals. You shouldn't be talking about online versus offline sales, you should be focusing on total sales. Customers don't care about channels so neither should you. "We've seen how laggards have not enforced these rules and they've been left behind. The Toys R Us of the world, the Sears of the world...they were retail monsters, but they didn't do the basics to be able to move forward fast enough. The agility of a company is dependent on how fast you move."